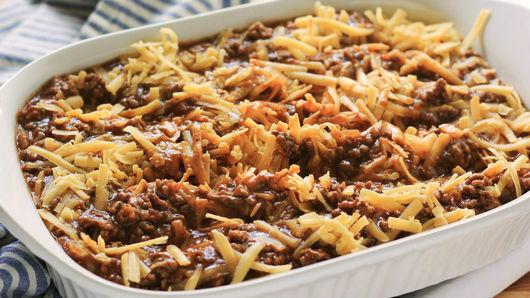 Place oven rack in lower third of oven; heat oven to 350° F.
In 10-inch skillet, cook 2 lb lean (at least 80%) ground beef and 1/4 teaspoon fine sea salt over medium heat 3 minutes, stirring frequently. 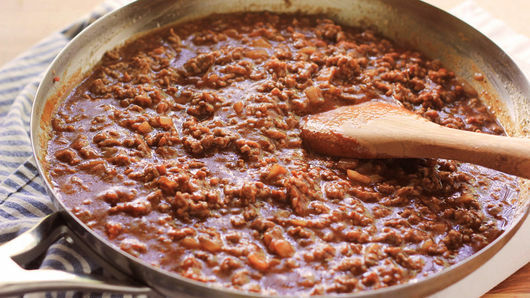 Add 1/2 medium onion, chopped; cook 3 to 5 minutes longer or until onion has softened and beef is thoroughly cooked, stirring occasionally. Remove from heat. Add 1 jar (18 oz) barbecue sauce; stir until well combined. Spoon beef mixture into ungreased 2-quart baking dish. Stir in 2 cups shredded sharp Cheddar cheese (8 oz). 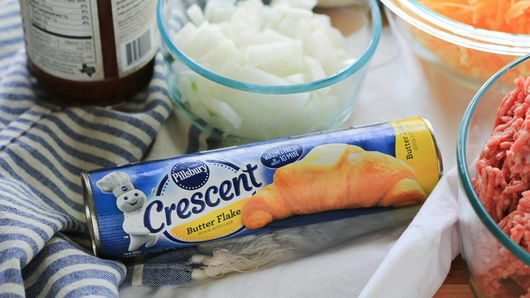 Unroll 1 can (8 oz) Pillsbury™ refrigerated crescent dinner rolls. Place sheet of dough over beef mixture to cover, tucking in sides of dough. 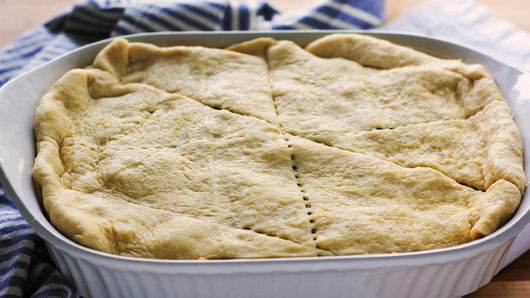 Place baking dish on sheet pan or cookie sheet. Bake on lower oven rack 30 to 35 minutes or until top is golden brown. Cool 5 minutes before serving. 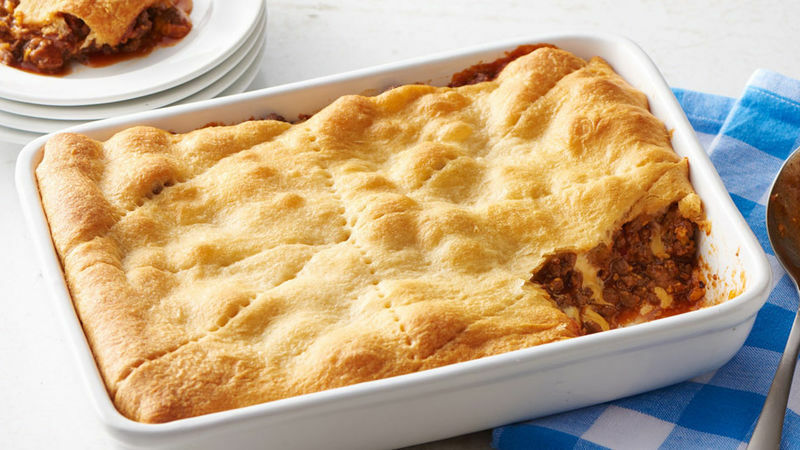 Serve with a dinner salad for a complete and satisfying meal. Buy your favorite spicy barbecue sauce to spice dinner up a bit!